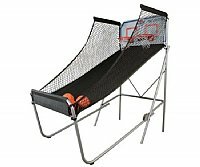 The electronic basketball game, Pop-A-Shot Basketball, has been upgraded structurally & technically to significantly improve game play. This upgraded version of Pop A Shot basketball rental has thicker poles and improved sensor technology in the basket area. 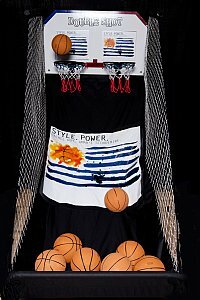 The experience has remained the same with event guests testing their shooting skills to see how many baskets they can score in the initial allotted time of thirty seconds. 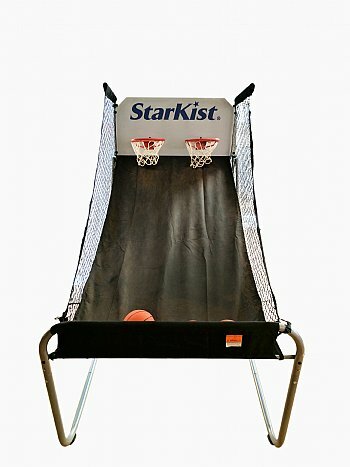 In the 1st round of this Pop A Shot Basketball Game rental, participants shoot at the baskets and score 2 points for each basket during the first 20 seconds. In the remaining 10 seconds, each basket counts for 3 points. If one or both of the participants have surpassed 30 points, then they move on to the 2nd round. In the 2nd round, 15 seconds is provided and each basket made counts as 3 points. If one or both participants reach a score of 60 points then a 3rd and final round is granted for 10 seconds. Each basket made in the 3rd round also counts for 3 points. There have been participants who have scored over 100 points during the 3 rounds. When this occurs, an indicator lights up on the scoreboard of the Pop A Shot Electronic Basketball Game rental. 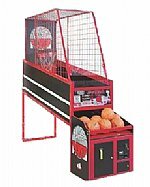 There are possibilities to brand and or customize the Pop A Shot Electronic Basketball Game rental for trade shows and other promotional activations. 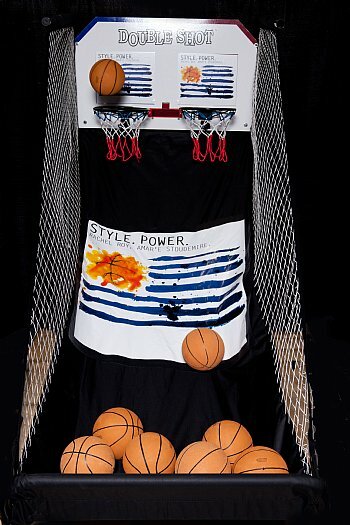 The primary areas of branding are the backboard and the ball return. 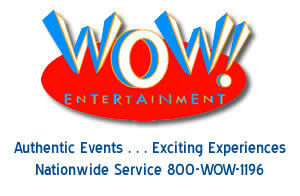 Please call one of event specialists at 800-969-1196 to learn more about the branding options as well as how a Pop A Shot Basketball Game rental will work for your specific event.